SOS Children's Villages has been working in Ganja since the end of 2005. In this deprived central area of Azerbaijan, our organisation is providing support to families so that they can stay together, as well as loving homes for children who have lost parental care. The high unemployment and inflation rates in Azerbaijan have affected the lives of children; it is estimated that about one third of children live in poverty. Most of the children who lose parental care are placed in state-run institutions. Ganja is Azerbaijan's second largest city with approximately 300,000 inhabitants. It is located about 340 kilometres west of Baku, right in the heart of the country. The city of Ganja, and its surroundings are amongst the poorest regions of the country - around half of the population lives below the nationally-established poverty line. The unemployment rate is also high. There are a large number of internally displaced persons and refugees, whose economic and social integration remains a challenge. Attempts are being made to improve the economy of Ganja, especially the agricultural and industrial sectors. The area is also trying to attract more tourists. The region's infrastructure requires improvement - the quality of the water and its distribution network and housing blocks need to be modernised. The harsh social and economic conditions in the area make the work of our organisation particularly important. The Municipality of Ganja has been very supportive of the work that SOS Children's Villages does in the area and donated the plot of land where our organisation is based. The basic infrastructure that families need is available in the area: kindergartens and schools are within walking distance. Hospitals and shops are also nearby. SOS Children's Villages works closely with local families to strengthen existing ties and prevent children from losing the loving care of their parents. Our organisation guarantees that children develop healthily by ensuring they have access to essential educational, nutritional and health services. 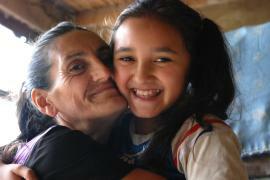 We support families with income generation and parenting skills so that they can protect and care for their children. We also strengthen support systems for vulnerable families in the community. When children can no longer be cared for by their parents, short term care is provided or children can find a loving home with one of the SOS mothers. There are 14 SOS families who can care for up to 110 children. The children grow up with their sisters and brothers and attend the local schools and kindergarten; support is provided to the kindergarten to ensure that the children are receiving the best possible care. We work closely with the local schools to enhance the skills of teachers and we support individual children by offering tuition in areas where they are struggling at school. 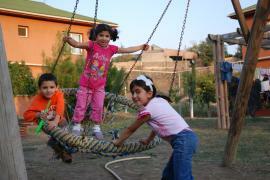 Since January 2011, we also provide short-term care for children in crisis. They are taken into a loving family home until the authorities make a decision on their long-term care.